You have found us – we provide quick & easy solutions for all your translation needs. Tell us about the subject of the text to be translated, its size and the languages you want, and we will provide a quote. 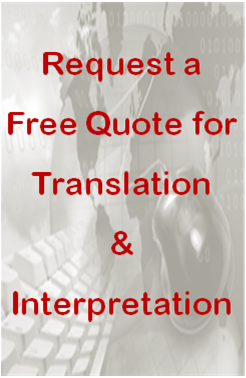 Send us the files, and within short order, we will deliver a clear, accurate, complete translation. That’s it! That’s all you have to do. Simply send us the text you want translated, then leave all the rest to us. Of course, quite a bit more goes on behind the scenes, starting with doing the translation right the first time. We use a multi-step process to ensure the quality of our translations, starting with the translation itself, then editing, followed by proofreading and QA. Every translation is confirmed by at least one other linguist to assure that the meaning of the original is conveyed clearly and accurately. We also check for completeness and formatting and can perform DTP image editing as necessary. We work with any format, from Word documents, to PowerPoint presentations, to Excel spreadsheets, to software applications, to website localization. Whether you’re looking to translate a code of conduct, an employee handbook, company policies, a slideshow, a survey or a script, we can make it happen. We can also handle any subject matter. Whether legal documents, technical manuals, or medical reports, our highly-trained translators will rise to the challenge. Our specialization is in highly-technical subjects. 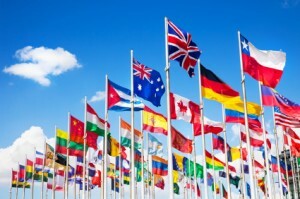 Furthermore, we provide over 175 languages (including Arabic, Japanese, Hebrew, Malay, German, French, Indonesian, Danish, Finnish, Hungarian, Korean, Simplified and Traditional Chinese, Tagalog, Vietnamese, Italian, Swedish, Spanish, Portuguese, Turkish, Hindi, Norwegian, Polish, Russian and more). We treat every project with special care, and our goal is to always try our best to make sure the readers understand the original text in their own language, as clearly and as easily as possible.